Photographer of Alessandro Sammarra is versatile and accomplished artist, film-maker, event directors, founder of the Socio-Cultural Association “OcchiettiNeri”. Alessandro Sammarra was born in Cosenza, South Italy on July 23, 1978. 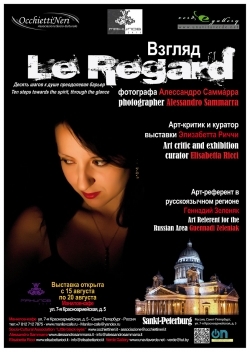 Introducing photos extracted from the exhibition “Le Regard”. Exploring new techniques with light, the study “Le Regard” represents the eloquence of silence in a look. Inspired by Caravaggio’s painting and Italian Renaissance artists as Antonello da Messina, Sammarra’s works depict the spiritual meaning of “light and dark.” He created dark backgrounds that seems to almost turn a spotlight on his portraits. The high contrast offers intensely powerful images. The light source often is simply a candle. It brings up deep variations in and subtle gradations of light and shade. It’s all in the look, vision of infinity, deep mirrors, calm seas, obscure abysses. The eyes reveals the meaning of light and darkness in dreams. 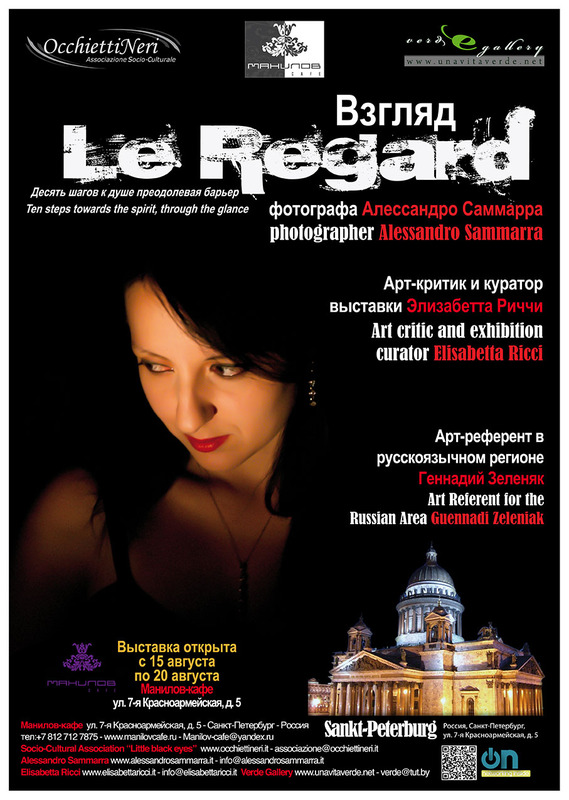 The exhibition is organized jointly with the VERDE Photo Gallery and Socio-Cultural Association “OcchiettiNeri”. 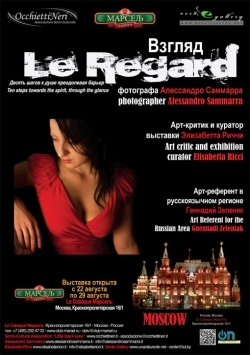 The exhibition will be held in St. Petersburg at Manilov Cafe: 15.08.2011 – 20.08.2011. And in the Moscow at Club Marcel: 22.08.2011 – 29.08.2011. 7-th Krasnoarmeyskaya str., 5, St.Petersburg, RUSSIA. Krasnoproletarskaya str., 16/1, Moscow, RUSSIA.